Have you ever heard the joke, “When I was a kid, there was no such thing as ADHD, we just called those kids what they were… stupid”. Well, there’s over 6 million people in the U.S.A. alone, that would say that joke is offensive, because AHD is real. Roughly 4% of American adults suffer from ADHD and that number has been on the rise in the last decade. Approximately, 6.4 million children in the United States suffer from the effects of ADHD. That means there’s millions of children that will grow into adulthood with ADHD symptoms. Sometimes when children who are diagnosed with ADHD, they will actually grow out of it as they reach adulthood and can stop any treatments they are taking. However, 60% of children diagnosed will continue to have ADHD symptoms well into adulthood. This is when ADHD can become very evasive in diagnosis. Diagnosis ADHD in adults can be a very difficult task. There are many factors that need to be considered in a proper diagnosis. The majority of experts agree that, ADHD does not suddenly manifest in adults. If an adult had never displayed ADHD symptoms as a child, chances are they don’t actually have ADHD as an adult and their symptoms are being caused by another ailment. Even if you were never diagnosed with ADHD as a child, there is a possibility, that you have ADHD. It’s very common for children to display certain signs of ADHD like hyperactivity, but not actually have ADHD. This is one of many problems in diagnosing ADHD, as many other ailments can manifest the same symptoms as ADHD. Scientists are still not entirely sure what causes ADHD in children, but there is some evidence that it may actually be genetic in nature. While genetics could be considered “nature”, there are some who believe ADHD is caused by “nurture”. These people believe that ADHD is a symptom of being in an environment, that encourages the growth of ADHD. These people believe such things as too much TV or poor parenting is a direct cause of creating ADHD. None of these claims have ever been verified and the validity of such claims are still under examination by the scientific community. What we do know is that, to be diagnosed with ADHD as an adult, a number of different tests need to be performed. First, a physical examination must be performed by a doctor. It wouldn’t be uncommon for a blood test to be run, so that a doctor could rule out a number of other medical conditions. Also, not only do a variety of symptoms need to be apparent, they also need to be persistent, meaning they have to be long lasting effects for up to six months. Since many members of the scientific community believe that ADHD is hereditary, your family’s health history is taken into consideration. If you happen to have a relative that has suffered from ADHD symptoms, it’s taken into consideration in your personal evaluation. If you were never diagnosed as child, it is possible that comments on your report cards, can indicate signs of ADHD. Comments like inattentiveness, laziness or inability to wait for their turn can be tell-tale signs of ADHD. However, comments like these can also be a part of growing up, as many children go through various phases growing up. A good doctor will take all of the information available before coming to a conclusion such as ADHD. It’s also possible and suggested that an adult take part in a psychiatric examination. This can help rule out any other type of psychiatric ailment, that may exhibit the same symptoms as ADHD. Symptoms of ADHD in children can differ from ADHD symptoms in adults. Typically, ADHD symptoms in children are more obviously, while ADHD symptoms in adults are more subtle. For example, anxiety, depression, procrastination and being unorganized can be symptoms of ADHD in adults, but all of these symptoms can manifest themselves by conditions unrelated to ADHD. There are also many misdiagnosis of adult ADHD, either because the patient is not forthcoming with their health history or because their symptoms closely resemble that of ADHD, but are actually caused by another disorder with similar symptoms. Unfortunately, there is no cure for ADHD. Treatment for adult ADHD can come in many different forms. The most effective form of treatment comes from prescription medication and behavior therapy. Ultimately, the goal of treatment is to learn how to control their own behavior. As undiagnosed children become adults, many of them learn how to cope with their symptoms, regardless of a diagnosis. Depending on the severity of their ADHD symptoms, additional measures may be needed. Adult ADHD treatment can come in several forms. There are three types of prescription medication available to those who suffer from ADHD symptoms. Stimulants are prescribed to help maintain hyperactivity and/or impulsiveness. Stimulants are considered one of the best known treatments for ADHD symptoms, however, they aren’t effective in all cases. In most cases, two-thirds of patients taking stimulants for ADHD find a significant improvement in dealing with their symptoms. There are also some known side effects like insomnia or decreased appetite when taking stimulants. However, there are some problems with stimulants. They can be addictive for some people, especially those with substance abuse problem. Many stimulants also have short half life, meaning the patient needs to remember to take them every four hours or so, depending on the life span. Nonstimulants may be recommended to those who suffer from ADHD symptoms, when stimulants are ineffective. Nonstimulants have only been approved since 2003 for treating ADHD. The effects of nonstimulants can last longer and have less side effects than stimulants. Antidepressants can also be prescribed to those who suffer from ADHD. It should be noted that all prescription drugs can affect individuals differently and various side effects can occur without warning. With any type of medication, there’s the chance of building an immunity or having the medication no longer be as effective. A doctor may need to prescribe a variety of drugs, over a period of time, to find out which works best for each individual case. In addition to prescription drugs, behavioural therapy is recommended by many experts. There has been some research to confirm, that medication used in conjunction with therapy is more effective than medication alone. Organization methods can help declutter the mind of someone who suffers from ADHD. Placing things in the same spot everyday can help create normality. Limits, in regards, to choices can help someone from being overwhelmed or overstimulated. Creating a daily routine can help create normality in daily life. Knowing where you’re supposed to be, when you’re supposed to be there and what’s expected of you can help with overcoming distractions. Of course, how individuals deal with their symptoms will be unique to themselves. Not every kind of therapy is conducive to creating the desired results. Psychotherapy may be more effective with managing certain symptoms of ADHD, rather than behavior therapy. If someone is suffering from more internal symptoms like depression or anxiety, psychotherapy may alleviate those symptoms better than behavioral therapy. Adult ADHD treatment is best done on a case-to-case basis. Since the symptoms of ADHD vary wildly, no single solution can be used as a general cure all. In fact, treatment of ADHD doesn’t have to come from medication or therapy. There are some people who are able to control their symptoms by a variety of means. 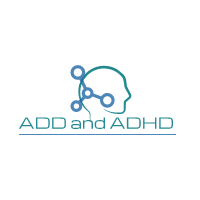 Exercising, eating healthy, getting the proper amount of sleep and self scheduling are only a few way that ADHD patients can help themselves. Living with adult ADHD is not an unclimbable mountain. There are millions of adults with ADHD, that are living full and happy lives. Having ADHD is not a reflection or indication of intelligence or capacity to do great things. There may be things that some ADHD sufferers may find difficult, but it doesn’t mean they can’t be successful in life. The only hurdle is finding a specific treatment that works for you. Whether it’s prescription medication, therapy or a combination of both, ADHD is a manageable disorder. Anyone with ADHD should understand that they are not alone. Friends and family can provide a great support structure and can help create routine and normality in your life. There’s absolutely no shame in asking for help when dealing with a mental disorder. There are also different support groups for people who suffer from ADHD or people with family members who suffer from ADHD. These groups are great resources and can offer a lot of comfort and advice for people afflicted by ADHD. At the end of the day, having ADHD is not going to ruin your life. Taking the proper medications, being open to therapy and not having shame in asking for help will do you a world of good.